Excuse me, I need to clear my throat. Can I have your attention please? I have a very important announcement. 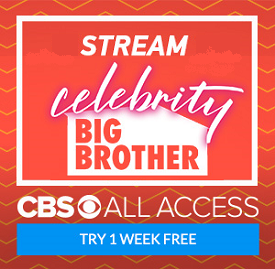 For over six seasons, the Big Brother Gossip Show crew has come together every Saturday night to produce this program you (should) love so much. We've given up vacations, dinners, sporting events, live music, and other fun things to keep you up to date on what's really happening in the Big Brother house. This fall season has created some obstacles, however. Some of us have unavoidable family and employment obligations that make Saturday nights impossible. There's also the reality that this season's weekly schedule has changed the day that is perfect for us to give you the information and opinions you desire from us. Due to these issues, the Big Brother Gossip Show is moving to Monday nights. Information-wise, this puts us at the exact same place our Saturday shows cut off. The POV is played on Monday afternoon instead of Saturday, so we'll be able to provide you who won and who may be going up on the block if the POV is used. What time will we record? Well, that's another issue. We don't know...at least for this week. One of us has a meeting in the early evening, and we'll turn on our microphones the moment that person is ready. In the future, we'll probably schedule our shows in the early evening. For our Patreon supporters, there really is no difference. The pledged support will occur on Monday instead of Saturday, and all of the various rewards (Day Drinking, questions, etc.) will occur at their usual times. I'm sorry if this is confusing or inconvenient for some of you. We're doing everything we can to make this work for both you and us. We love you all, you know!! !